THOMAS BJORN’S CAREER renaissance continued to gather pace this week, as the popular Dane carded nine birdies and an eagle en route to his seizing his second European Tour victory in the space of a fortnight at Omega European Masters at Crans-sur-Sierre in Switzerland. Bjørn began the day on 11-under-par, three shots off Jamie Donaldson’s third round lead, and with the Welshman’s nearest challengers, Rory McIlroy and Lee Westwood, carrying the bulk of media expectation, appeared to be on the fringes of contention. Donaldson, who has never won a European Tour event, looked overwhelmed in the company of the two superstars, each of whom seemed unduly preoccupied with the performance of the other. As a result, the final group never gained any significant momentum, and soon found themselves overtaken by a chasing pack more willing to take advantage of Crans’ receptiveness. Former world number one Martin Kaymer blazed to the turn in six-under-par and set the pace until mid-way through the back nine, when Bjørn set about the surreal business of playing his final five holes in five-under-par. First round leader Nick Dougherty carded his third successive round over par to finish the week in a tie for 45th. It marks the first time in nearly a year the Englishman has completed made the cut in and completed a four round event. 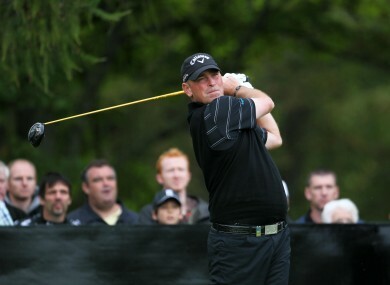 Ireland’s Peter Lawrie carded a modest 69 to finish on 10-under-par, enough for a tie of sixteenth place. Email “Bjørn again! Dane caps back-to-back victories at European Masters”. Feedback on “Bjørn again! Dane caps back-to-back victories at European Masters”.